More than 350 ways to warm all of the hands, heads, feet, and bodies that you love. 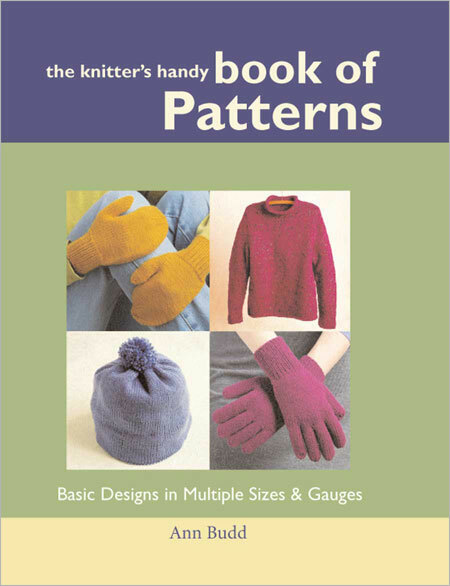 This book contain instructions for creating the most popular knitted items – socks, mittens, gloves, hats, tams, scarves, sweaters and vests – all sized from baby to toddler to large adult – all written for multiple gauges and yarn weights. More versatile and useful than standard pattern books, The Knitter’s Handy Book of Patterns features easy-to follow, charted instructions plus a detailed glossary of techniques for both beginning and advanced knitters. The spiral-bound and hardback format makes this book as functional as it is informative and instructional. The lay-flat binding allows for hands-free access and the sturdy hardcover ensures you’ll be able to use it for years to come.